Moby is a 2.5 yr old, neutered lab. About 6 weeks ago, he became leg-in-the-air lame on his left hind leg after an acute injury. This was diagnosed as an acute acl tear or rupture. But in retrospect, I think he was displaying a whole set of subtle symptoms that both knees were in trouble, symptoms which we did not recognize or act on. Over the course of several weeks, Moby saw a total of 3 vets. They all had differing interpretations of the x-ray files (both knees plus hips), but all agreeing that there were signs of arthritic osteocytes outside the joint space. They had widely different takes on the hips, one said the left was iffy, another said the right, and one said neither. One said his future would be bleak regardless of what we did, the other said it would be great if tplos were done, the other didn’t comment. Two knew what TTA was, one never heard of it. Two think CM is like what you do for small dogs, one thought it was “do nothing”. One said the fibrosis scarring is what provides long term joint stability in all treatments, the others reluctantly admitted this and then changed the subject. They all called for bilateral TPLOs. When I asked for pointers to good studies comparing the long term results of aoo the options, none of them could point to anything but anecdotes. But there was a 4th opinion that were had to consider, Moby’s opinion. Upon getting the first diagnosis, we severly restricted Moby’s activities. We are fortunate to live right on a lake, so we let him swim, thinking this had little negative impact on the joint and it was important to keep up muscle mass. After a few days, the symptoms in his left leg were mostly gone. We took him off the rimadyl (thinking this was making him artificially feel better), but there was little difference. As the weeks passed, the symptoms subsided to mere reluctance to full weight bear for a few steps after rising from rest, then nothing. Eventually, even that went away. He did have a few what I call “escapes” where he ran or jumped off the dock onto hard ground or overstressed in some way, and the result was obvious in a return of symptoms to some degree. But again, they subsided in a day or two after proper restriction. But more than that, the symptoms Moby had for perhaps a year prior to the injury were vanishing too. He was now sitting on his haunches as often as not (he would always sit on his hips prior to this). He was no longer “getting up like an old man” (as I used to say), he would just get up. He would stand around instead of always flop down whenever he didn’t have to move. And he would want to play while seeiming to feel a lot better overall. We could not ignore this “4th opinion” he was giving us. Of course there was a ton of researching going on in parallel with all of this. TPLO sounded like radical, invasive surgery which has as many bad outcomes as very good outcomes (both about 15%). Mediocre outcomes were the norm (70%). TPLO originally claimed it would prevent a lot of future arthritis, but the evidence is now that it does not. Mobility is almost always reduced in TPLO. And just about the only thing left to move that way was the claim that it was better than CM, which is usually thought of by many vets as “do nothing” or “restrict for a few weeks, then let him go once symptoms subside”. But there’s another camp in the CM world that few know about, a camp that claims long term success as good as or maybe better than TPLO, even for large dogs. tiggerpoz.com advocates a program of restraint and tapering back into activity over perhaps a much longer period than even post-op. The initial 6-8 week period is similar to post-op, but if there are signs that stability is improving after that, you begin the slow and cautious rehab phase. This can take months, many months. The dog will tell you if and when you can advance, increase activity. And when you do, you advace in small increments, always looking for return of symptoms as a flag to stop or retreat a bit until symptoms subside. The goal is not to get to a point where the dog can go on a couple 20 minute walks, then you’re done. The goal is to achieve the highest activity level you can without symptoms, whatever that happens to be. It may be the 2 20 minute walks. Or it may be running and/or off-leash walks with other dogs for hours. Getting there may take a long time, a long time.. But isn’t it worth it if you can avoid tplo? Especially bilateral tplos? Moby is currently on that course and about 6 weeks into it. We are up to the 2 20 minute walks on an “extended leash” (a 16 foot rope) on woods trails with uneven ground and a few ups and downs. In addition to that, he swims for another 1/2-3/4 hour. Each activity is separated by at least a couple hours rest. Next week I’ll make them 25 minute walks and maybe I’ll jog the last 50 feet with him (my jog = his fast walk). The only symptom indicator I have left is whether or not he sits on his haunches. That works for me, I don’t want to have to see him limp to determine if we went too far. In the meantime, this gravitation toward the tiggerpoz style CM is complemented by a push away from TPLO as I think more about it. Moby would need bilateral TPLOs and both would have to be successful to achieve overall success. Remember that 15% failure rate I mentioned earlier? Well, Moby’s chances of having at least one failed TPLO is 15%+15% = 30%. That’s about 1/3, or like playing Russian Roulette with 2 bullets! Also, one of the vets said that it actually takes about a year for the dog to completely recover from a TPLO. Times 2, that’s 2 years. Moby’s 2 and labs live to about 12 leaving about 10 years. The last 2 probably won’t be very active for reasons other than his stiffles, leaving about 8 years of hopefully higher level activity living. Two years may not seem like much to you and me, but it’s a lot when compared to 8 years. And when you think that a big chunk of that 2 years will be in pain and severly restricted, well, it’s a big price to pay that has nothing to do with $$. Using the “7 years for a person = 1 year for a dog” concept, it would be like telling you that recouperation and rehab would be 14 years. You’d have to think twice about that. So far, so good with Mby and his current CM course. When I see him prancing through the woods, alert, tail high, showing zero symptoms, I cannot in good conscious put him through bilateral TPLOs. It makes me sick to imagine what post-op would be like if I did that. I don’t kow what’s in Moby’s future. CM seems to be going fine and I hope we get good results that’ll last him his lifetime. But if not, if things get bad years from now, maybe total knee replacement will be available by then. Unlike TPLO, that does appear to be a real fix for very bad knees. But TPLO? I can’t see it.. If you are reading this, you probably have a large dog with bad stiffle(s). If so, I urge you to at least give the style of CM I described above a try (ref: tiggerpoz.com). You owe him/her at least that. You can always cut later if you feel you have to. But give him/her a chance. Thanks for the informative post. My dog, a 6 y/o westiepoo, is limping now and vet said he needs surgery to fix his ACL. I have a hard time sending him to the surgery room and I want to make sure surgery is absolutely necessary if we go that route. Now i find this site and your tiggerpoz site.. i think I will look into CM more and see if it’ll be an option. How’s Mody’s development and recovery? 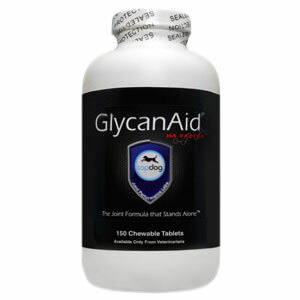 what’s your thought of giving glucosamine? In case you end up going the TPLO path at some point, please note that the 15% failure rate is untrue. It’s closer to 3%. The problem with this claim you have made is that published statements about success rates, complication rates, etc, are generally based on self-reporting questionnaires sent to vets. The blunt truth is that people are inclined to misrepresent their own results. If you asked a used car dealer “Does anyone ever have trouble with a car you sold him?” and he answered “Hardly ever! Maybe 3%” would you assume that was the truth? Or would you think that the person who is business to sell something might misrepresent his own results to suit his own financial interests? —– A very important fact about TPLO which gives us an indication of vets’ motivation in recommending TPLO is that TPLO is hugely profitable. A TPLO takes less than an hour to do and requires a few hundred dollars in surgical supplies. There are $thousands in profit in every TPLO. If you believe this huge profit would not influence vets’ recommendations, you are being unrealistic. When a vet tells you that your dog should have TPLO, you should not assume he is a saint-like doctor who is disinterested in money. The sad truth is that the majority of dogs who are subjected to TPLO or TTA would be better off with non-surgical recovery or possibly a conventional stabilization surgery if CM isn’t effective. People love their dogs and are too trusting of doctors. That combination makes them vulnerable to TPLO profiteers. I feel that 3% is very low. My dog underwent TPLO Sx and is post-op day 20, his other knee also ruptured a week after surgery but I chose not to undergo surgery for the second leg. i have been very strict with minimal activity/hind support and at this point his surgical leg has suddenly had decreased mobility and pain …so I am back to the vets yet his non-surgical leg seems to be doing better! Thank you for your story! 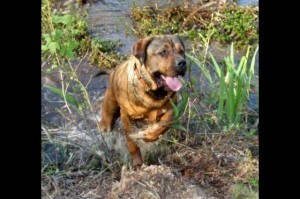 I have a 20 month old Presa Canario and am told she needs surgery. I can pay the huge $$ amount if I needed to but wonder if this is the best option for her? With 2 other dogs in the house I am finding it very hard to keep her calm. I have been bringing her to work with me the last 7 days and as long as no one complains I think I will continue that and try the CM method first. I wonder about supplements? Any thoughts? I’m considering the same thing. I wanted to say whether we have the surgery or not, either way, our dogs will have to be very calm for 8-10 weeks. I can’t imagine Bogie saying calm for anything, he’s like a race horse. It’s going to be very difficult but it’s the only way it’ll heal. If the CM method doesn’t work, than I would try the surgery. I have a 100lb 7yr old French Mastiff which we just found out tonight tore his acl a few months ago. He has been compensating with his other leg so well that we didn’t notice. Our vet is a board certified surgeon, and I thought she would suggest the surgery, but instead was very enthusiastic about the CM using a brace combined with very little activity. She could have easily convinced me that surgery was the only option. She didn’t specify the brand of brace but she has me convinced that it is the way to go. I just thought it was ironic that I found this site currently talking about this topic. I hope I’m making the right decision. My vet just called and suggested watching the U-Tube site vetexos . It shows how the brace is fitted and how it works. She doesn’t suggest buying one online. This is the prescription brand that needs to be fitted by a vet. I’ve read some blogs about people buying them online and fitting poorly. My dog had a fully torn acl ccl. The first two vets tried to sell me tplo or tta I did research and learned that a dog knee brace is better than surgery. I bought a vetexos from another vet and it was very hard for the vet to put on the leg without causing pain. It was not easy to get it fitted correctly. It had slippage problems, so then the vet added a harness to prevent it from slipping but it still had some slipping. It was not easy to attach the harness as you have to carry a tool with you to get it on and off. I finally gave up on the vetexos bracing rehabilitation system, and bought a custom brace online. A custom dog knee brace clips on and off and doesn’t hurt the dog’s knee when putting on and off and much quicker to put on too. 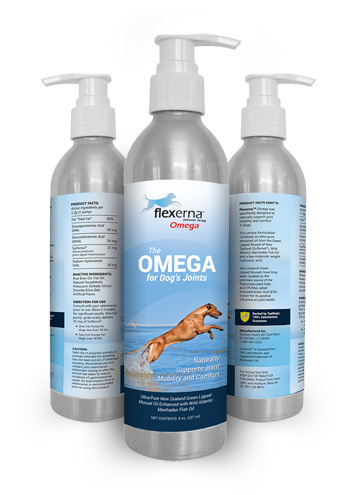 Use the dog knee brace with conservative management and glucosamine supplementation. No need for ACL CCL type tplo tta surgeries, as the brace gives the knee support so it can heal. What brace did you use? I hadn’t thought about these dog knee injury videos since last year because my dog got better, but I thought about it today, and I want to “give back” some encouragement. I bought the A-Trac brace for my dog last year because he hurt his left CCL. He couldn’t put much weight on that leg. The first doctor suggested surgery and didn’t even mention conservative management. The second doctor suggested a specialist. The specialist said that it could go either way. I decided to go with conservative management first, and started looking into braces. The A-Trac seemed like the best option. It’s been a little over a year since I got it, and my dog’s leg is great! He hasn’t worn the brace for about 6-8 months now. No surgery needed. You just have to take it slow. Short bathroom breaks. No stairs. If your dog has to use stairs (and you can’t carry her/him), then put a towl underneath and lift up her/his back legs. No running or playing. The brace comes with a suggested walking routine. The vet recommended cosequin DS (glucosamine and chondroiton) and AllerG-3 (fish oil). I’ve been giving my dog those for about a year. CM works. You just have to be consistent and patient. Cosequin is too expensive for most pet owners. Glucosamine is very cheap so cosequin charges more to increase their profit but it is not any better. The holistic vet said that the human glucosamine works just as well as any pet glucosamine, just to make sure to dissolve tablets in a little bit of water each night and pour in the food the next day. Check with your holistic vet to get the approximate dosage of glucosamine so you know how many pills to dissolve in water each day. Fish Oil is great too. The vet said natural salmon oil is the best, must be kept in the fridge so it doesn’t become rancid. I bought Alaskan Naturals Salmon Oil at and it comes in a pump bottle so just pump squirts in the food. I was able to try several custom dog knee braces since I had bought pet insurance several years ago to help me pay for pet care. My dog has long hair so the velcro straps on many of the custom dog knee braces were impossible to put on as it would get all tangled in the hair or the velcro straps would tangle up with each other and I couldn’t see under my dog to attach the velcro in the mass of hair. I tried the posh dog knee brace which uses clips that clip on the outside of the dog’s leg so you can see what you are doing and it was the easiest and fastest to put on and take off and it does not need a harness to hold it up. My dog didn’t like the harness on the wound wear dog knee brace so I got the custom posh acl ccl dog knee brace that doesn’t use a harness. Above all, get a acl ccl dog knee brace instead of surgery. Anyway, we’re taking CM way to recovery, and I’m considering a brace. What kind of brace would you recommend for the long-haired dog? We live in Canada, and it might be even harder to get it, but at least I want to know what to look for. I have a 15 month old Lab with a luxating patella. No tears just movement. She was spinning, her body moved, the leg didn’t. When the vet saw her, it went right back in. The first words out of his mouth were “specialty clinic and surgery”. I asked about conservative treatment, he told me it was useless. I called the clinic, the surgery is $4,000. and “usually works, but you will also need to get the other leg done, and maybe the hips”. I have given this a lot of thought, and I am just not willing to do that to Daisy. She is still a baby, and still growing. I am using supplements, and starting her on a swimming program. I am also going to take her for acupuncture. This morning, she tried to crowd me out the door, and knocked it out again. My vet wouldn’t see her, the receptionist told me, “there was no point, he told you it would just keep popping out till you get it fixed”. I saw another vet. She said she would think seriously about surgery, but since I didn’t want to do it, she liked the ideas I had. We will take it one day at a time. I have been through this surgery before, with a Yorkie, on both legs. It was a nightmare both times, and his legs were always painful. The meds given for the pain pretty much killed off his digestive system. I do not want to see this happen to Daisy. We are going to try my way first. What did you end up going with? How did it work out? Luxating Patella is NOT the same as ACL/CCL ligament injury!!!! Ann, A luxating patella is a very different problem from a ligament injury. Dogs do NOT recover from luxating patellas without surgery. This webpage that you posted on and I am replying on has posts from people whose dogs recovered from CCL/ACL ligament injuries without surgery. THAT IS NOT THE PROBLEM YOUR DAISY HAS. Luxating patellas vary in their severity, but tend to get worse over time. When a young dog like Daisy has these symptoms, the problem will get worse and worse over the months and years if she doesn’t have corrective surgery. She will be crippled. You should get her the necessary surgery if you can. If you cannot afford it you should find another home for her where her new family can afford the surgery she needs. Pretending that Daisy will get better from a luxating patella without surgery will not turn out well. I know the difference between a luxating patella and torn ACL. Daisy’s ACL and tendons are fine. At no point did I say I couldn’t afford surgery for her, I said I was making a choice to try other things first. She is very loved, and happy. I do not need to find her another family, she has a good one. I take very good care of my animals, better than some people do with their kids. I am not pretending anything. As I said, I have been down this road before. My dog tore the ACL in one leg, he went to the vet the same day, and had surgery. His leg never healed properly, and he limped, in pain, for the rest of his life. Two years later, to the day, he tore the other leg, same surgery, same results. At the time, I was told he should be fine, no arthritis because I acted so promptly. He had arthritis, and was given NSAIDS for it. These wonder drugs pretty much destroyed his pancreas, and he spent the rest of his life with pancreatitis AND arthritis. Daisy is just a baby, and I am going to do what I feel is best for her. Should the time come when I believe she needs surgery, she will have it. That decision will be made by me, and her vet, not one of his vet techs. My 8 almost 9 month old pom is getting surgery next week for a grade 4 Luxatting paella while the dr was checking that they found her ACL was very badley damaged as well they are going to replace it with carpet like material if I understood correctly. a grade 4 luxating patella will not get better on its own there is no place for the knee cap to go. And her acl is torn she can no longer use that leg. this from happening to your own dog by selecting a safer alternative. that have to go down this road of surgery infections. DON’T DO IT! NO SURGERY .. Our Wheaton outgrew her luxating patella after the first yr. If she can sit and it goes back on its own. She will be worse off..
Daisy can walk, she can sit. It is not a grade 4, it is more like a grade one. The tendons are fine, so is her ACL. I have been down this road before, and am trying what I think is better for her. 12 year old Italian Greyhound/Ger Shepherd mix with torn ACL. I am trying to keep her contained in a small area while we decide about surgery. She is very happy, barely limps and can sit. Has anyone taken the no surgery route and had a bad experience? Hi Ann Guest, in response to your comment above. Avoid surgery. My large dog also had a luxating patella some years ago. to die in 4 days, so I was very angry at the vet for lying about nsaids as safe. knee braces for this. I had pet insurance and bought a custom dog knee brace. That really helped with healing without any surgery and without any nsaids. another lying vet to profit from your poor dog’s injury. The best of luck to Daisy. I have an American Bully/mastiff/pitbull mix. She’s almost 1 y/o, weighs almost 70 lbs, and has ruptured ACLs in both knees. We thought she had played too hard at the dog park about 3 months ago, but the vet thinks it’s degenerative. Anyhow, the vet recommended TPLO becasue she’s a super active dog, but also said that traditional repair is an option if we can’t afford TPLO. Money is not a concern as we want what’s best for our pup. We want a less invasive option and I started doing some research on conservative management. A lot of information I’ve read on CM does suggest that CM works well for smaller dogs that weigh 30 lbs or less. As a larger dog with ACL issues in both knees, how is Moby doing now? (I’m thinking it’s been about 1 and a half years since you started Moby on CM.) Any suggestions you have after going through CM with Moby? Any info is very much appreciated as we are too not comfortable with the idea of subjecting out pup to invasive, bone-breaking surgeries. It is true that small dogs recover more easily than large dogs, but large dogs can also usually restore stability without surgery. Bear in mind that vets who sell surgery are advocating the choice that makes them a nice big profit. They make their money selling surgery. Some vets will support a non-surgical recovery, but most will claim you just have to buy what they are selling, which is surgery. Other people who have heard this “Over 30Lb dogs must have surgery” and bought surgery will repeat it to you too. But the truth is that most big dogs do very well without surgery. The ONLY way to determine whether your dog is one of the minority of any size dogs who should have surgery is to restrict activity as described at tiggerpoz website’s ‘Recovery Without Surgery’ page and see if your dog begins to re-stabilize the joint after 8 weeks. You cannot know whether your dog can re-stabilize the joint without trying to do it. Most dogs of all sizes can succeed when activity is carefully controlled and plenty of time is allowed. Another false concept is that if the dog is still limping after a few weeks then surgery is needed. Recovery really takes many weeks of careful activity control. You need to avoid all heavy stresses on the leg and be patient. If you do, most dogs will re-stabilize the joint without surgery. Read the tiggerpoz website. This happened to my older dog who had a full tear acl ccl and a torn meniscus making that loud cracking sound. My dog could only walk on 3 legs. I chose a safer alternative to surgery and got my dog an acl ccl posh dog knee brace to support the injured knee so my dog could start walking from day one. With the knee brace support, the meniscus was able to heal as the knee was in alignment with the stabilization of wearing a dog knee brace during dog walks. The meniscus healed in just 4-5 weeks and the cracking sound was gone. My dog wore the dog knee brace daily for dog walks and in just a few short months my dog was able to walk normally again. 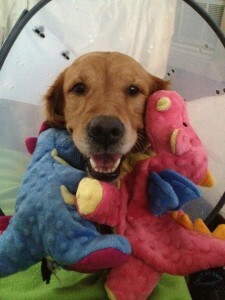 Poshdogkneebrace.com has a Dog Blog with lots of helpful info to help your dog heal from a torn knee. Its worth checking out because it does work.